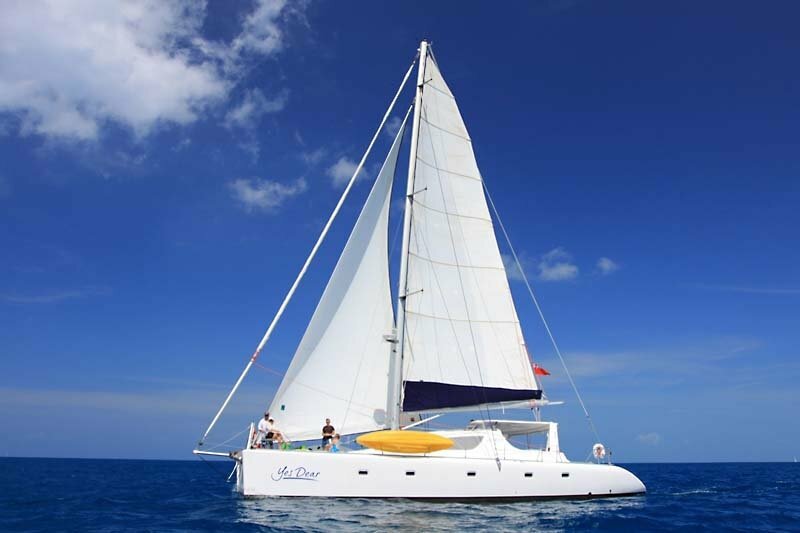 Yes Dear a 58ft crewed charter catamaran with 5 guest cabins, each with ensuite private head with vanity, electric head and shower). Crew have separate cabin with private head. 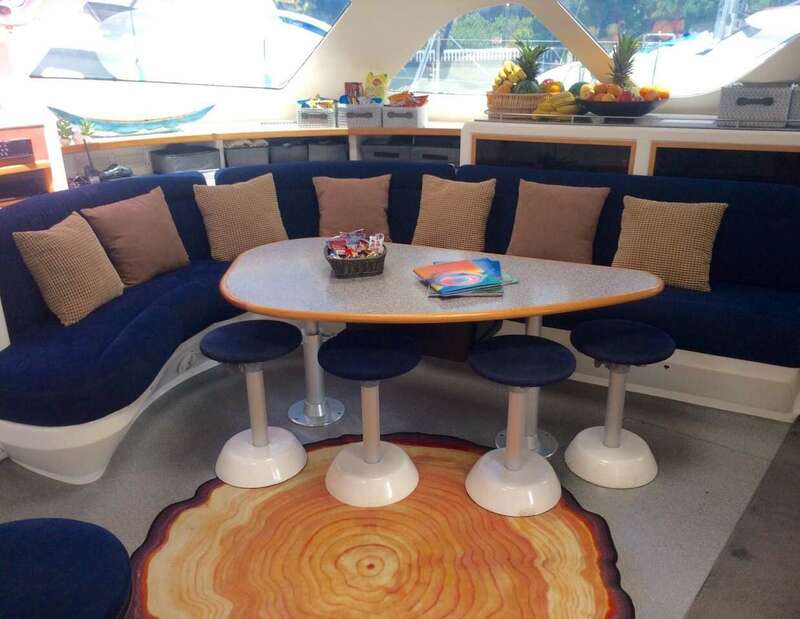 Yes Dear has a large foredeck with plenty of lounge area. 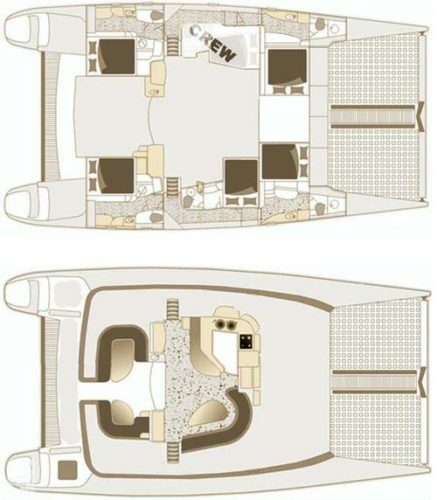 Plus a huge cockpit for dining and lounging. SLEEP ABOARD OPTION: Sleep aboard the night before charter dates. 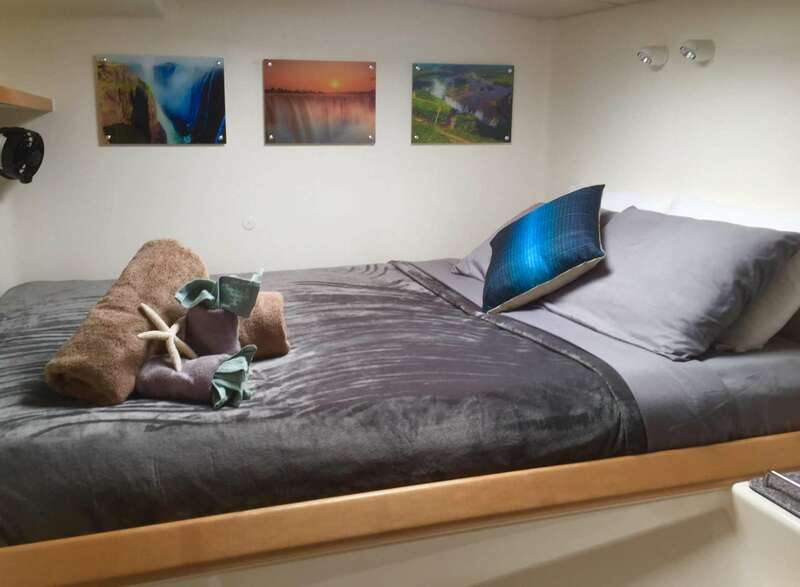 Sleep aboard the night before charter dates. Rate is $300 per cabin, minimum 2 cabins. Includes: boarding after 4pm, welcome cocktail and canapes, and breakfast the next morning. Dinner night of sleep aboard is ashore at client expense. 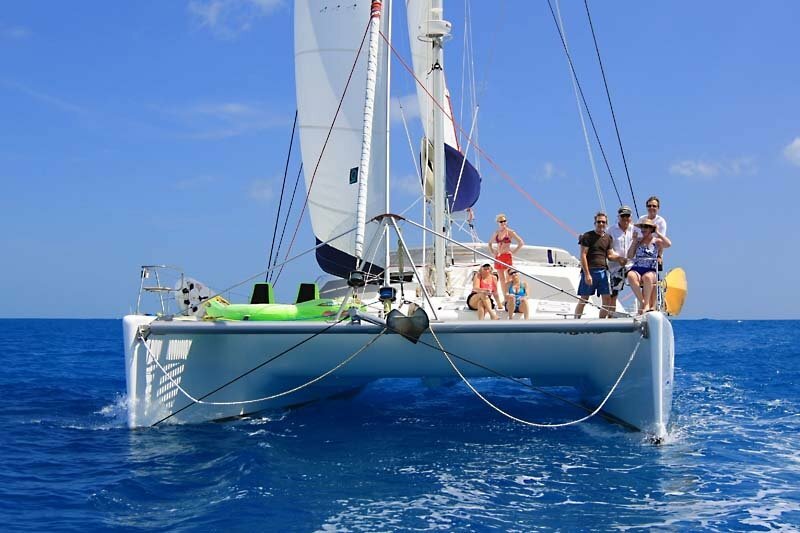 CHRISTMAS: 1-10 pax @ $26,000 – 6N minimum. 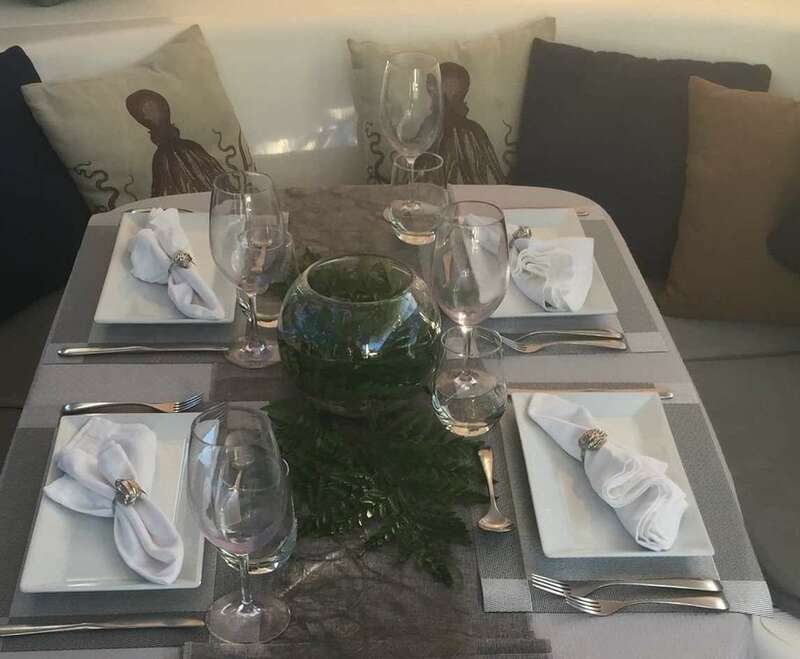 NEW YEARS: 1-10 pax @ $30,000 -7N minimum. Avocado toast with poached eggs, locally sourced tomatoes, turkey bacon and herbed smashed potatoes. South Carolina “low-country boil” with Caribbean lobster tails, whole fresh shrimp, kielbasa sausage, red potatoes, corn on the cob and Old Bay artichoke with house made bearnaise sauce. Fancy, Johnathan, and Pedro the pirate are the best ever. Literally the best boat trip I have ever been on! Charismatic and personable all the while they were just spoiling us the whole time. You would be silly to choose anyone else. First I would like to say THANK YOU to Fancy, Jonathon and Pedro(black dog!!!) for one of the best days ever!!! The day was absolutely perfect! I was traveling with 3 friends and we wanted to be spoiled for the day and boy were we spoiled!!! From the minute we stepped out of the taxi until we step back onto the dock!!! Fancy and Jonathon really know how to treat their guests. They were so infornative about the area, great drinks(Pedro Punches, YUM), avocado appetizer and seafood boil. 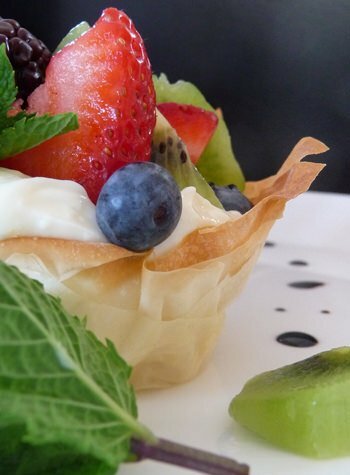 Everything was so yummy! The snorkeling spots were great and when I just wanted to take a break from snorkeling I floated behind the boat in a water lounger! They made sure my Pedro Punch was always refreshed. 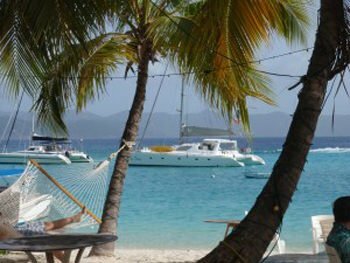 🙂 Can’t wait to go back to St. Thomas so I can sail again with Happy Island Charters. We spent a family day yesterday with Jonathan and Fancy on a sailboat , it was memorable! historical information about the area. We swam with turtles, snorkeled, sat in inflatable chairs in the water and sailed into sunset grille as a finale! 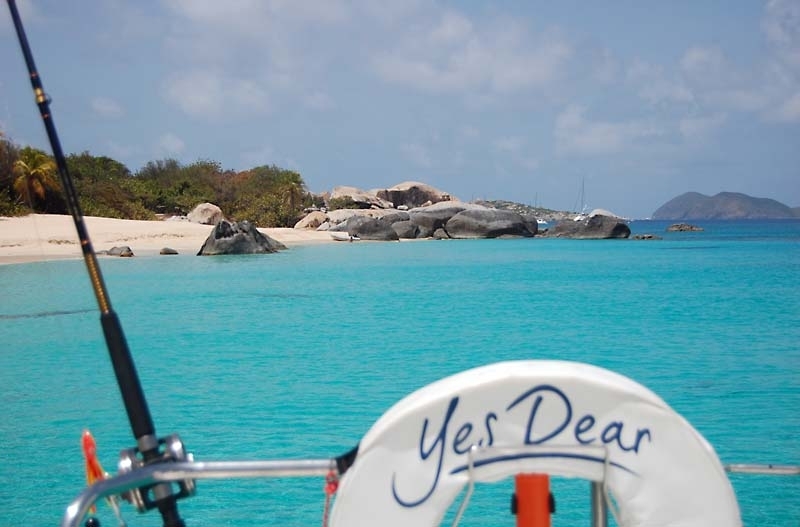 Happy Island Charters is the only charter to use! Thank you Fancy and Jonathan!!! We sailed with Fancy and Jonathon and the amazing pirate dog, Pedro and had such a great day! With two teenagers and two senior citizens the brothers could not have been more fabulous! They were accommodating and made sure we had a most wonderful time on board their sailboat! 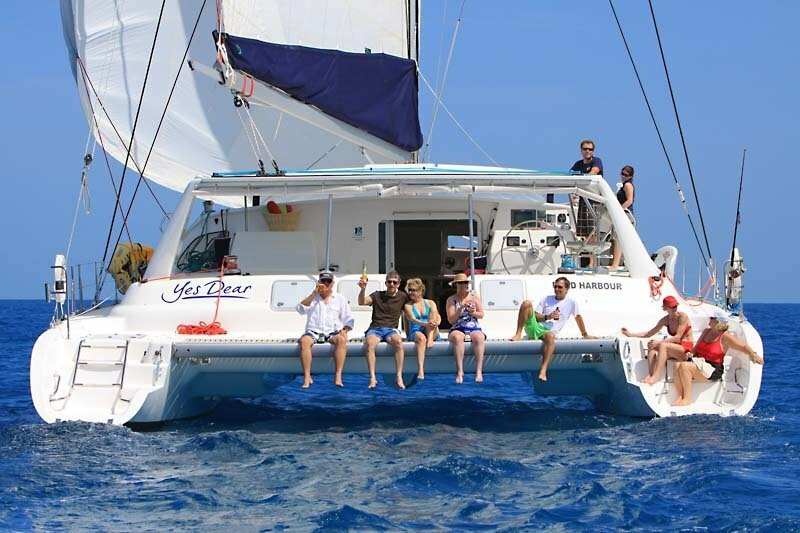 I would highly recommend chartering them for half-day, a full day or more! The pizza place was delicious and a one-of-a-kind T-shirt since it’s not easy to get to it! A Big Thank you goes out to Christopher, Jonathon and Pedro! Keep catching those fish Pedro! There are no shortage of charter boats in St Thomas. These guys are great! Jonathan, Pedro & Fancy will ensure you have a great day. 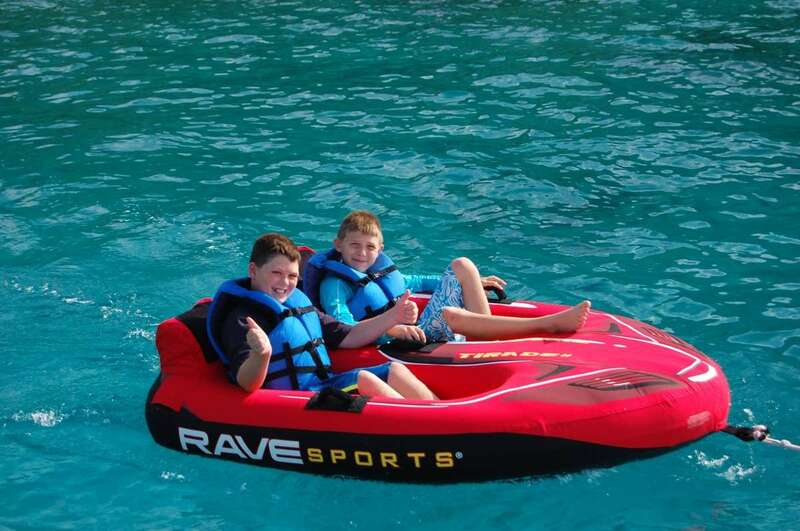 They know the waters and the best places to stop and enjoy the waters of the islands.